Hi there, everyone! We’ve been getting requests from you lately to ID different snakes based on their pictures. We love getting these requests, and encourage you to send us more of your snake questions! We will try our best to answer for you, or direct you to an expert herpetologist for help. 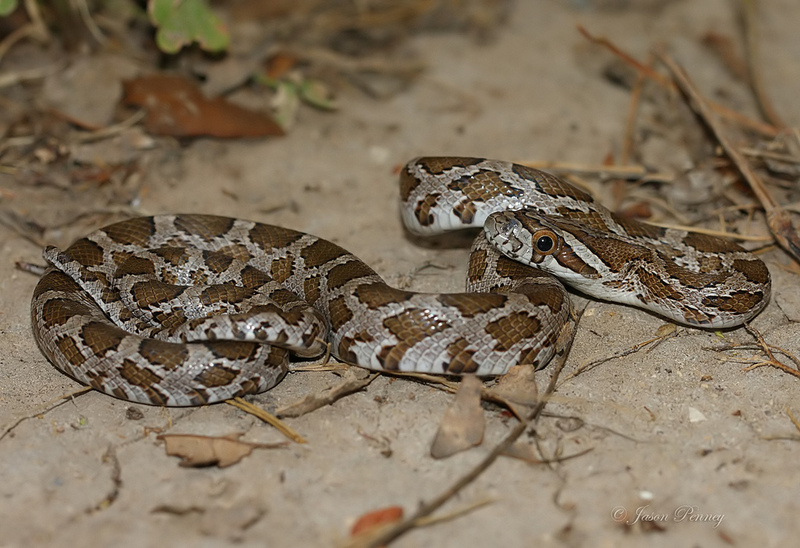 One thing we noticed as these photos came in is that most were ratsnakes. In fact, more than 90% were ratsnakes! So we thought that it would benefit everyone if we offered a crash course on ratsnake identification. First of all, what is a ratsnake? 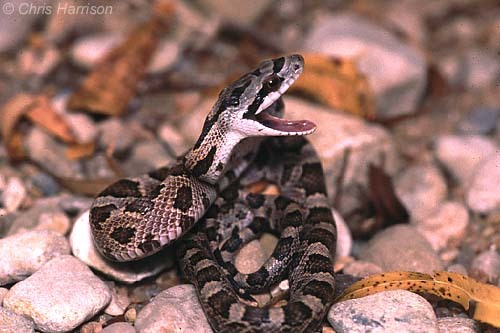 Ratsnakes are non-venomous, harmless snakes common to Texas. They get their name from (you guessed it) eating rats. They are great to have around in barns and other rodent-prone areas! Watch out for these snakes in vehicles, on wooden rafters, or in chicken coops. Notice the brown spots, white underbelly, and head shape of this juvenile Texas Ratsnake. The other three types of ratsnakes are less common. 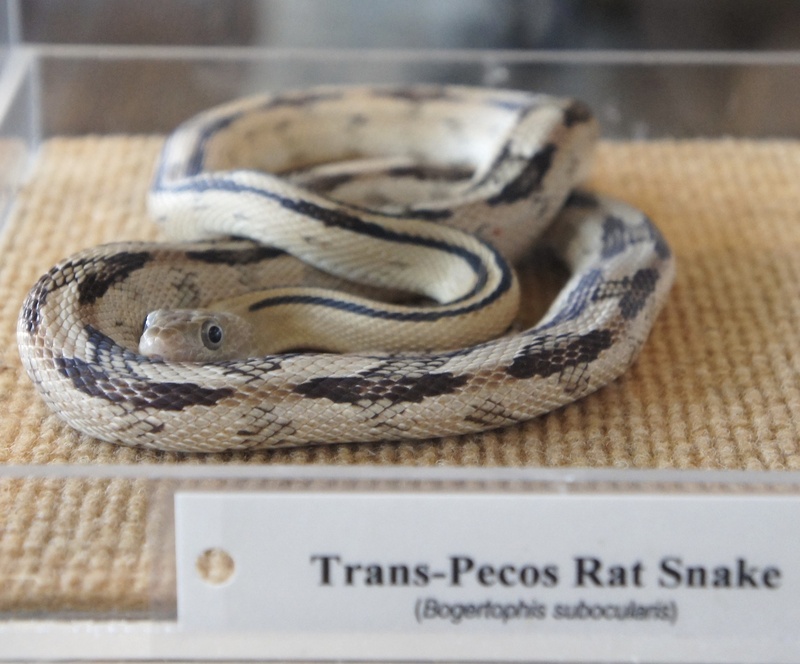 Trans-Pecos Ratsnakes are clearly distinguishable by their yellowish color and H-shaped spots. 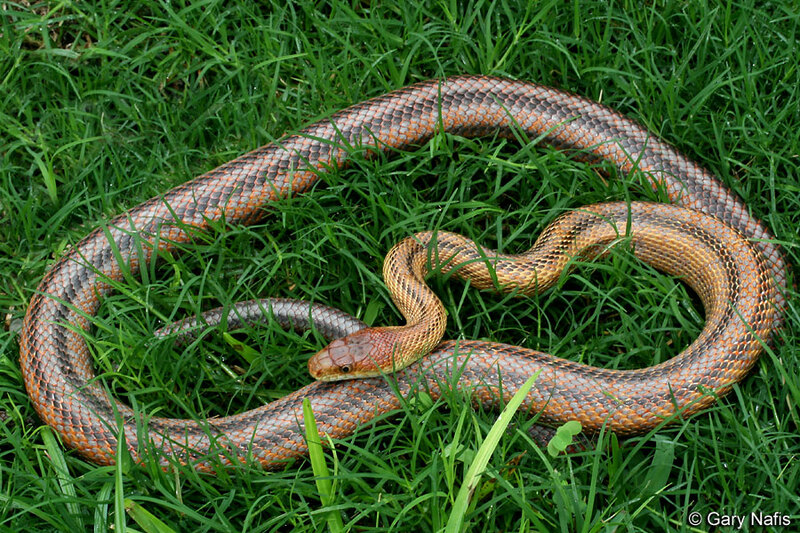 Baird’s Ratsnakes are typically orange to red-orange in color with faint dark stripes down their backs. Great Plains Ratsnakes can vary in coloring based on region, but are typically grayish brown with brown blotches. Do you have pictures of a ratsnake from your region? Send it to us on Facebook, Twitter, or Email – we would love to share more of these snakes, so that everyone can learn to identify them!